Weeds are often some of the most medicinally viable and nutritionally dense plants in existence. 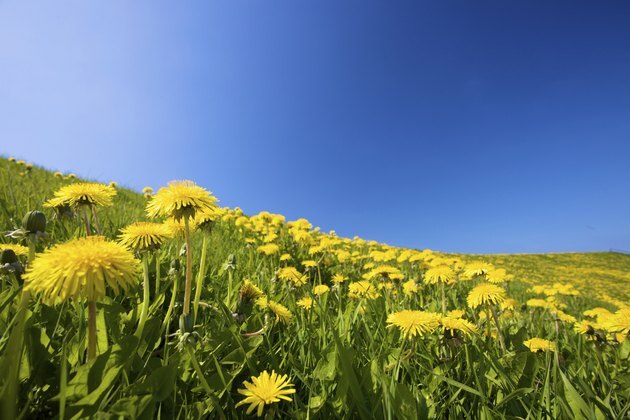 Obvious examples include dandelions, useful as both a food and medicine. Another plant classified as a weed by the U.S. Department of Agriculture is cleavers – also known as Galium aparine, bedstraw and scarthgrass – an herb that may have potent medicinal qualities both when used internally and externally. Cleavers has been used since ancient times as a diuretic to treat edema and promote urination, according to the University of Michigan. Cleavers is widely used by Western herbalists to treat edema and other forms of swelling due to its stimulating effect on the lymphatic system, which is responsible for clearing extracellular waste from the body. According to Sharol Tilgner, a naturopathic doctor, cleavers exerts a beneficial action on swollen glands and cysts, although there have been no scientific studies conducted to verify this usage. Master herbalist Susan Weed recommends cleavers tincture as a treatment for post-menstrual syndrome symptoms like sore breasts and water retention, highlighting its potential benefit for edema and lymphatic stagnancy. Cleavers exhibits anti-spasmodic properties on the urinary and digestive tracts, making it an effective treatment for irritable bowel syndrome and interstitial cystitis, according to Weed. In her book "Herbal Medicine From the Heart of the Earth," Tilgner recommends the use of cleavers for bladder and kidney problems and adds that cleavers may help dissolve kidney stones and reduce fibrocystic tissue in the kidneys. According to master herbalist and naturopath Michael Tierra, cleavers is a diuretic, making it useful for clearing infections and inflammation in the genitourinary system, as well as helping to clear skin conditions like psoriasis. There are no scientific studies available to support any of these claims, however. Cleavers is considered a vulnerary herb, according to Tilgner. This means that the herb helps to heal wounds – specifically tumors and ulcers in the mouth and throat. Cleavers can also be used as a wash or poultice for skin irritations, sunburn and cancerous growths, according to Tierra in "Planetary Herbology," although no direct evidence for its efficacy in skin irritation or cancer is available at this time. Cleavers may be an effective addition to healing salves and ointments due to its cooling, soothing and wound-healing properties. Cleavers can be taken as a tincture or tea, or used externally as a poultice, wash compress or in prepared products including salves, lotions and ointments. As a tea, 3 to 9 grams of the dried leaves can be steeped in a cup of water for five to 15 minutes and taken up to five times per day. Weed recommends a dose of 30 drops – or 1 full dropper – of fresh cleavers tincture, which can purchased at a health food store or even be made at home. While there are no known contraindications for cleavers, it is always best to check with your doctor or health care practitioner before taking herbs if you are pregnant, breast-feeding, taking pharmaceutical medications or have a serious or chronic illness. Planetary Herbology; Michael Tierra, C.A., N.D.